Magical sparkling fairies and live Dave Matthews type music greet my eyes and ears as I enter a Business Relationship Wonderland in Hollywood, California Loews Hotel. The venue is filled with elite global innovators and game changers. 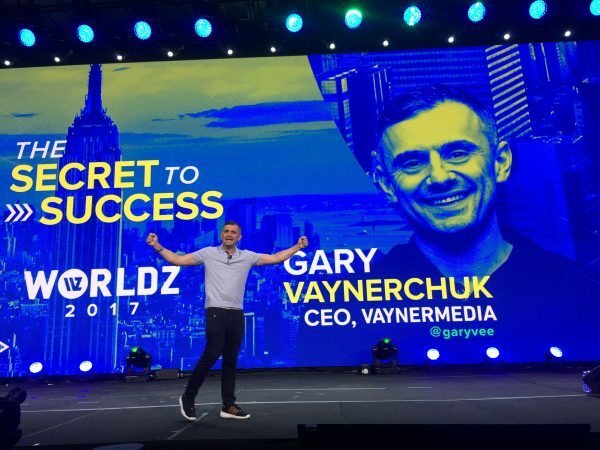 The event, WORLDZ, created by a man named Roman Tsunder determined to accelerate social good in every industry by connecting top brands and executives around the world. The day kicked off with “Brain Dates” where attendees select various knowledge offers and requests from fellow guests to engage in more meaningful connections and to spark conversation. I did about 8 Brain Dates throughout the day from teaching people how to podcast to sharing the best ways to quickly integrate into the LA tech community. Equally I met with people to learn from them, how to create effective brand partnerships and to discover more about the startup ecosystem in Asia. There were so many learning options pulling at my FOMO from master classes on ‘How to Give a TED Talk’ taught by TED organizers, to formal stage fireside chats between Will.I.Am and Gary Vaynerchuk. Speakers/teachers at WORLDZ are known as “Titans”. They are top caliber industry leaders from fashion and media icon Marc Ecko who in the last year sold his digital media company COMPLEX to Verizon to the CMO of Mastercard teaching us from their personal experience and insights. Thankfully the main keynotes were one track and at the top of the line up was the popular band BøRNS fresh off their sold out tour kicking off what felt like a brainshare festival. I’m sure every single person felt inspired and motivated to be their best and to really ‘show up’ on this earth. I had the opportunity to speak with one of the sponsors and I ask about their “Why” in choosing this conference over all the others. The sponsor responded “We believe in their mission, their purpose.” It’s a reminder that every brand, no matter what you sell, has to stand for something. This is what became so clear with every speaker I watched, they all stood for something bigger than themselves. They took a stance, something I remember Tim Ferriss saying years ago. Choosing a viewpoint is powerful. It creates meaning that others can now confidently align themselves with. Gary stands for powering through, to go after any and all lofty or small professional dream you may have. Will.I.Am stands for empowering the less financially fortunate, showing them what’s possible. Claire Wineland born with cerebral palsy stands for turning suffering into empowerment. There was a safe connectivity in the air, like if you were there you were a part of their tribe. Every WORLDZ ambassador would look you in the eye with compassion and care if you seemed lost even a moment. Gary Vee reminded us in his speech that though having a startup is now the New New cool thing to do, the reality is that being an entrepreneur is far from glamorous. It’s a grind that he gets knocked down in often. That battle comes with the job. To think you can just label yourself entrepreneur on your social profile, but then not build smart and build profitable is just stealing an undeserving title for false self promotion. Marc Ecko shared that when he does hiring he seeks out that person’s true drive; is it external or internal? He wants to explore what is their core spirit. Understanding that will lend itself to longevity in being a loyal teammate. The key to becoming one of the elite, the key to being a magnetic person and brand customers, members, sponsors, partners and fans crave being around, is to take a stance, to have a meaning bigger than yourself. You want your brand to be one that others can align themselves with, your brand needs to stand for something that people would feel like through osmosis they would slowly evolve into attaining your super powers. Sophia Amoroso, founder of the now defunct previously multi million dollar fashion business Nasty Gal spoke at WORLDZ as well. Usually when a company goes belly up the founder hides in weakness and despair. Not Sophia, she stands for something too… she stands for perseverance despite adversity. She stands for standing up even when you feel like falling down. Therefore no matter what company or brand she creates that flows in and through her life, she has her own strength to lead with, she knows her worth as an independent human, despite what what economic fate may happen, with power and determination, she picks herself back up and starts again. That’s a type of force we all want, so just as the others mentioned above, her purpose and meaning are beaming. Roman Tsunder said this is Chapter 2 of WORLDZ, and that it is just one chapter in a large journey. He stood for global change. And he’ll continue his movement year after year so we sure to look out for the next WORLDZ if you want to be a part of changing the world for the better.